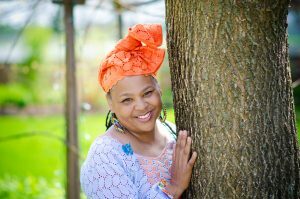 Karen “Queen Nur” Abdul-Malik is a nationally renown storyteller and teaching artist. Sharing her gift, she has performed in venues from the Kennedy Center in Washington D.C. to Equity Theater on Broadway, from the National Black Storytelling Festival to the National Storytelling Festival in Jonesboro. She has been the recipient of MidAtlantic Artist as Catalyst Grants for her work with Teens-at-Risk and Women’s Shelters and the National Storytelling Brimstone Grant for her innovative community-based programs. The mother of three and grandmother of two, Queen received her Masters in Arts in Cultural Sustainability from Goucher College, and a Certificate in Dispute Resolution from Harvard Law School. Queen has recorded 2 CDs. “Sweet Potato Pie and Such,” is an IParenting Media Golden Award Winner. “Live and Storified,” for teens an up, was recorded at the Walt Whitman Cultural Arts Center in Camden, NJ.